Complete your Batman imaginext Toy Collection with this Imaginext DC Super Friends Wayne Manor Batcave! 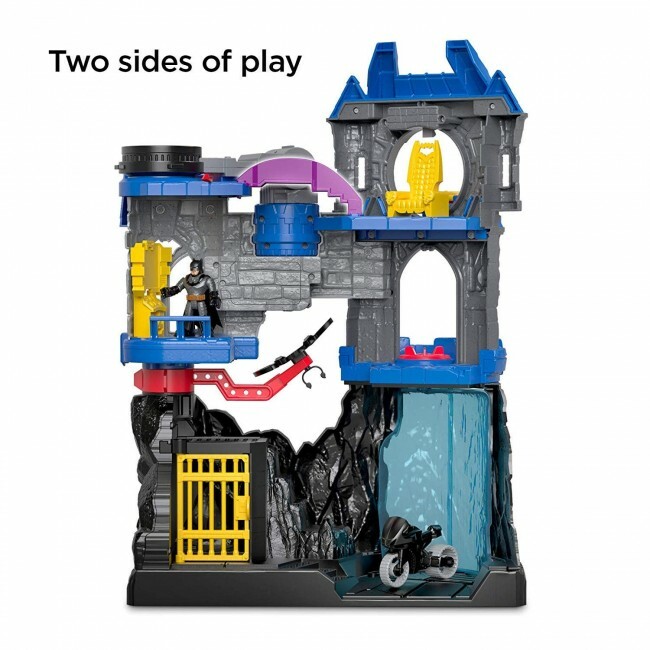 Kids can take Batman from Wayne Manor to his hidden Batcave with this DC Super Friends playset! 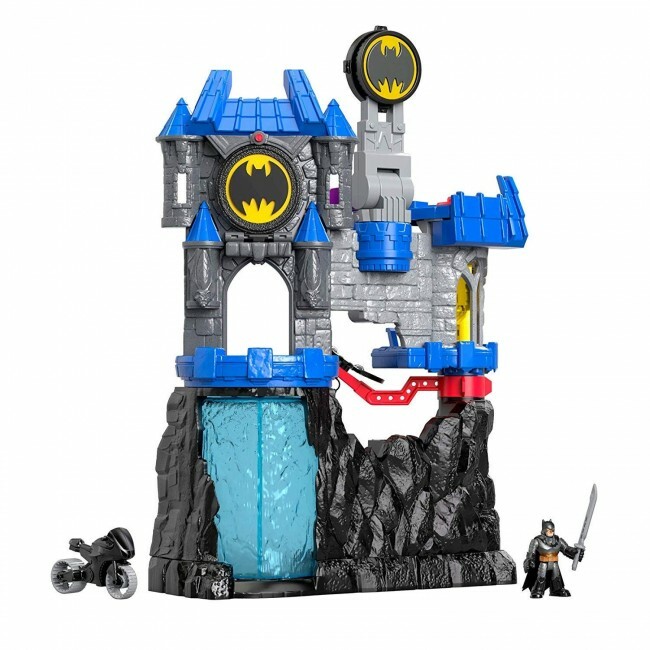 Includes: Batman figure, Batcycle, sword, throne, and 4 disk projectiles.Turn the top Power Pad to raise & light the Bat-Signal. Recommended for kids Ages: 3+ years. 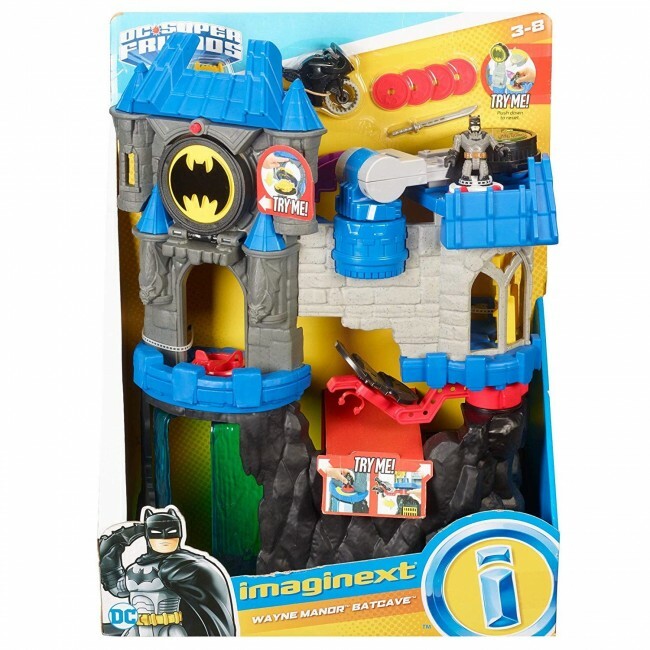 Includes: Batman figure, Batcycle, sword, throne, and 4 disk projectiles. Turn the top Power Pad to raise & light the Bat-Signal. Press the button on Wayne Tower to reveal the hidden launcher, load it up & fire! Turn the lower Power Pad to open the secret waterfall entrance to the Batcave. Soar into action with the glider, or take to the streets on the Batcycle.